Are you trying to figure out whether to buy a New York Strip or a Ribeye? No worries, I have you covered! The New York Strip vs Ribeye battle is pretty straight forward and comes down to how much you like fat. Let me show you the big difference between these two great steaks so you can pick the right one for you. Both of these steaks are premium cuts that are delicious. There is no wrong answer here and, while most people prefer Ribeyes, there are plenty of folks who love the Strip more than anything. These steaks typically cost about the same on a per pound basis for equivalent grades of beef. The steaks pictured above were Choice Grade Angus that cost $9.99 per pound. 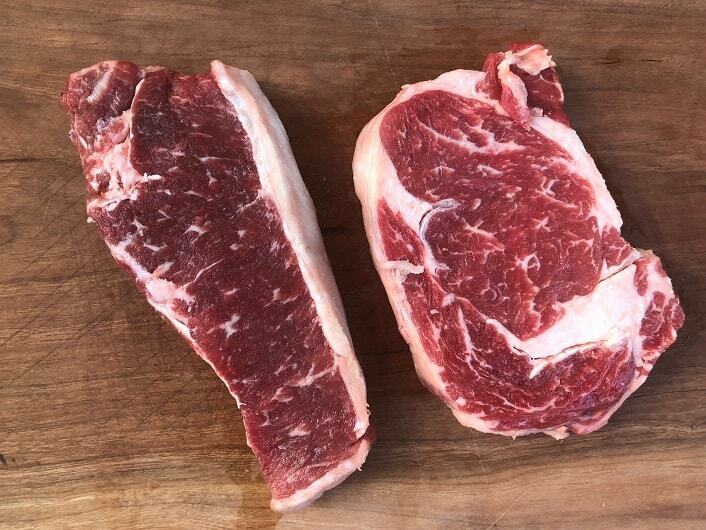 Both of these steaks come from areas on the steer that don’t do much heavy lifting (Rib and Short Loin) and as such can be expected to be tender and nicely marbled. That is what makes both of these steaks premium cuts. 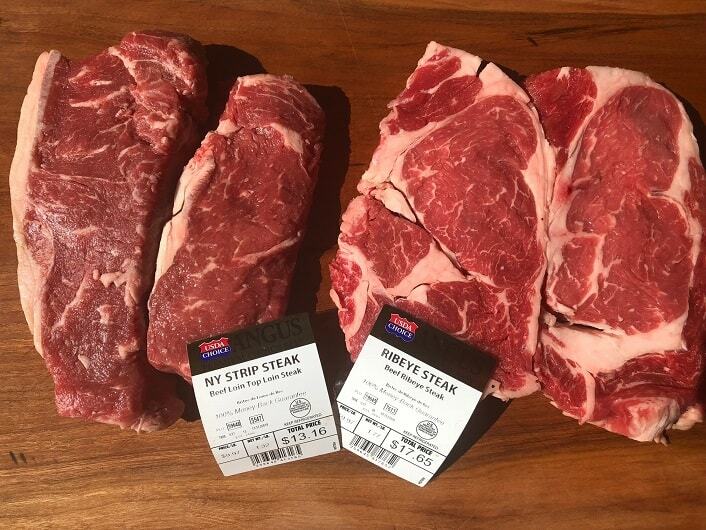 Although these are both premium steaks the ribeye is consistently a more tender steak than a strip. The ribeye will also have significantly more internal fat marbling than a New York Strip resulting in a different flavor profile. 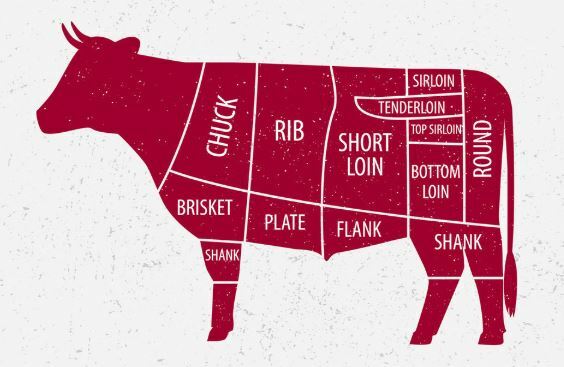 Whether you like the fatty profile of the ribeye or the meaty leanness of the strip is a personal preference but most people prefer the flavor of the ribeye. 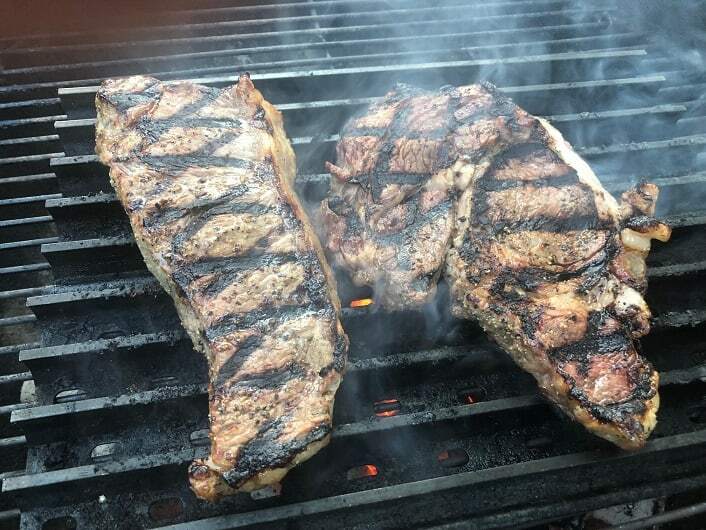 You can see that the Strip has fewer calories and saturated fat while delivering more protein than ribeye. This isn’t too surprising given the visible difference in fat content between these two steaks. 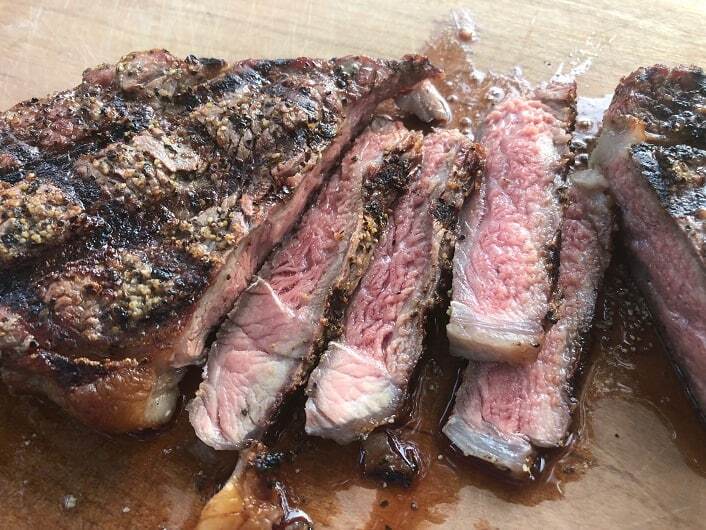 Even if you take the health factor out of the equation there are a lot of folks who prefer the strip because they don’t like all of the massive fat deposits found all over the ribeye. If they are going to pay for a premium steak then they want to get meat and not fat. Both of these steaks are amazing when simply seasoned with salt and pepper and cooked to medium rare. I love to grill these steaks over charcoal but they will still be excellent if pan seared or are cooked under a broiler. These steaks can be grilled either directly over high heat or with the reverse sear method. It really is just a matter of personal preference. Both of these steaks are sold with differing thicknesses and can be served boneless or with the bone attached. This makes providing accurate cooking times difficult since I don’t know if you are dealing with a half inch thick strip or a two pound, bone in ribeye. In general, cook these steaks to an internal temperature of 130F and they will be awesome. 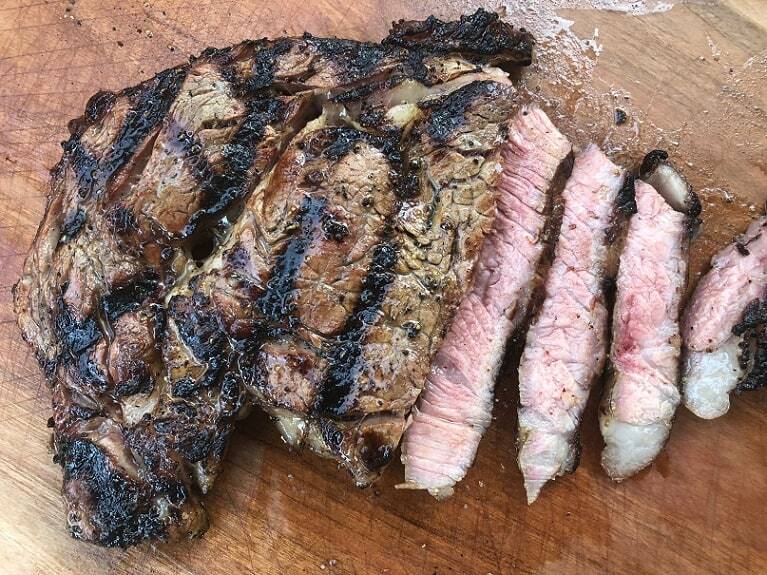 Here is what slices of a finished New York Strip will look like. And here is what you will get with the ribeye. You can see a difference in the fat content of the two finished steaks. Some people love the fatty flavor of the ribeye while other folks refuse to put the extra fat in their mouth.